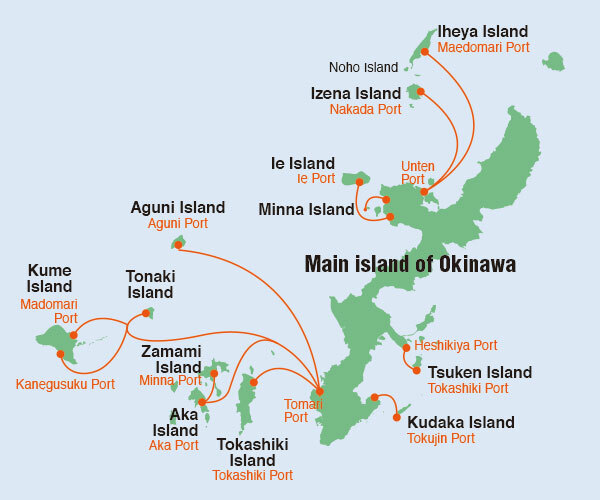 For access to Ie Island from mainland Okinawa, the Ieshima and Gusuku ferries leave from Motobu Port. The Ieshima ferry offers shipping service for vehicles, but there is a free parking lot at the port, and rental cars and bicycles are available on Ie Island so that people can also enjoy travelling without the cost of taking their own vehicles. *Early reservation is recommended as it will be offered on a first-come-first served basis (car capacity: 33). *Vehicle must be cleared 30 minutes before scheduled departure time. 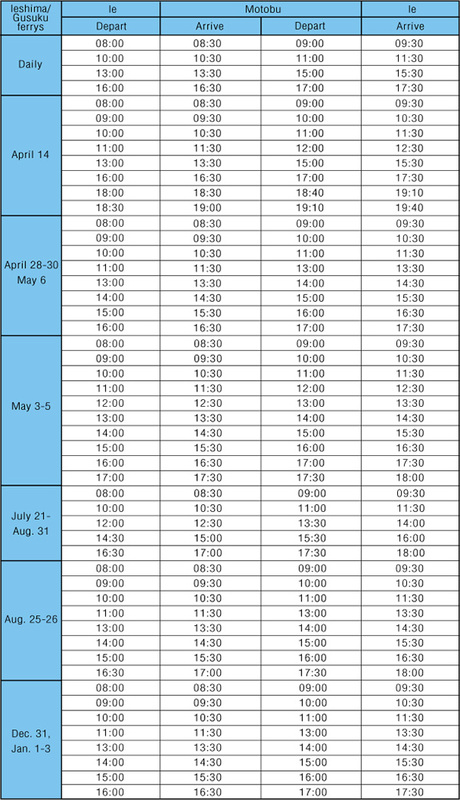 Please check the official website of Ie Village to confirm seat availability and the latest schedule.